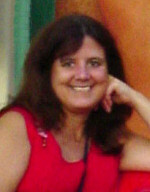 Help me welcome D. Lynn Smith, my guest blogger for the day. Not only is she a screenplay writer and a fiction author, but she also publishes comic books through Kymera Press, which specializes in “comics about women, by women and for everyone.” It’s pretty exciting stuff. She’s got a Kickstarter going for Kymera Press where people can back and learn more about the project. I’m a big fan of the television show Longmire. Last week as I was watching a new episode, one of the lines of dialog was, “Good girls ask for permission, bad girls ask for forgiveness.” UGH! What a load of bull… We women have been fed versions of this time and time again until it is ingrained in our consciousness. I read an article recently that talked about how men will usually get that coveted project/promotion/raise simply because they go in and ask for it, while their female counterparts wait for recognition of their abilities and is passed over. That seems like waiting for permission to me. What would happen if a woman went into her boss’ office and asked for that project? Would she then have to ask for forgiveness? No way. So what does it take for women to feel comfortable enough to demand what they want and need without having to ask permission? Do we have to act like men? Do we have to think like men? Some people believe we simply have to boost our testosterone levels. And there’s a very simple way to do it, according to the New York Times. “Poses are powerful,” said Amy Cuddy, a social psychologist and associate professor at Harvard Business School. With colleagues, she has, through a series of controlled experiments, shown that assuming an expansive pose (think Wonder Woman with legs planted apart and hands on her hips) for two minutes will increase testosterone and lower cortisol in your bloodstream. Dr. Cuddy’s TED Talk on the subject has gone viral on the Internet, now with almost 4 million views. Wow, standing like Wonder Women for two minutes will increase your testosterone levels and improve your performance, whether it be for a speech, a job interview, or simply asking for a raise. Why aren’t we all utilizing this little trick? We should all follow her example. Wonder Woman won’t mind. In the end, maybe Wonder Woman can teach us more than how to stand to boost our performance. Wonder Woman never asked for permission. And I’ve never heard her ask for forgiveness. This doesn’t make her a bad girl or a good girl—just a woman. D. Lynn Smith is the co-founder of Kymera Press, a comic book publisher that develops comics about women, by women and for everyone.